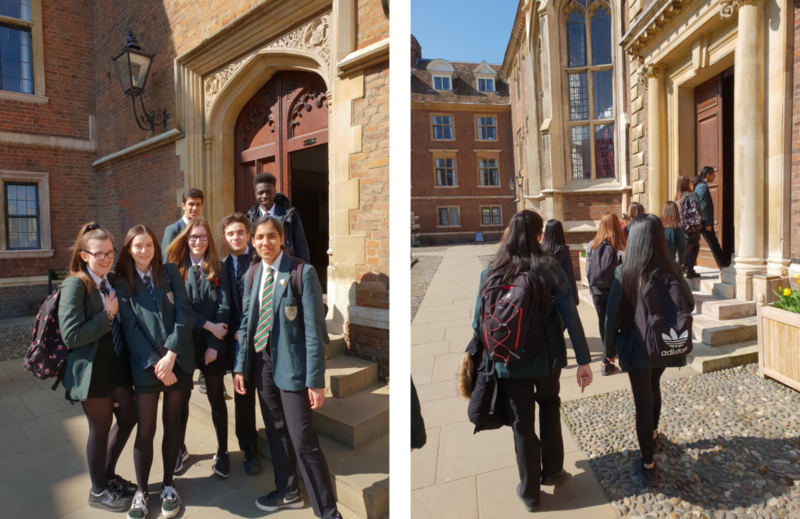 What a beautiful sunny day we had to visit Cambridge University with our Time to Sh9ne group last Friday. 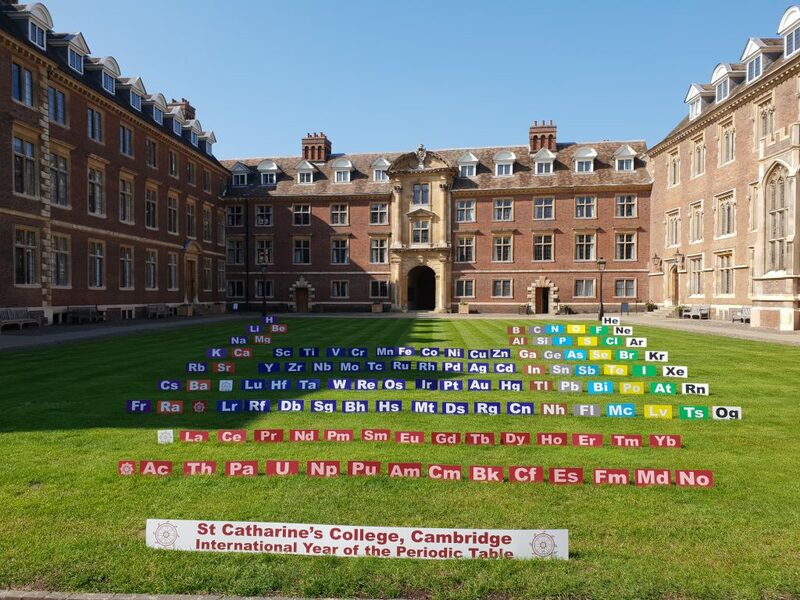 The students toured St. Catharine’s College, where they were celebrating the International Year of the Periodic Table (check out the display at the entrance of the college in the photo’s below). 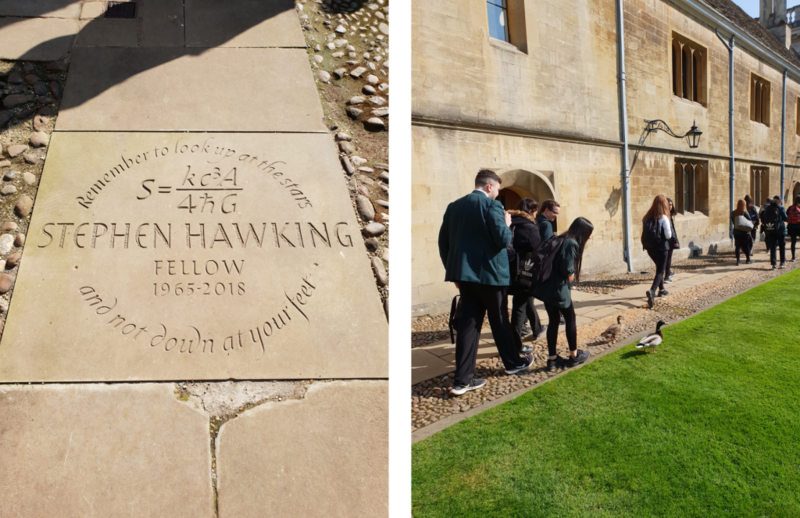 We were also treated to a tour of Gonville and Caius College where Sir Stephen Hawkins resided and where a top TV drama has recently been filmed! Both locations were stunning! 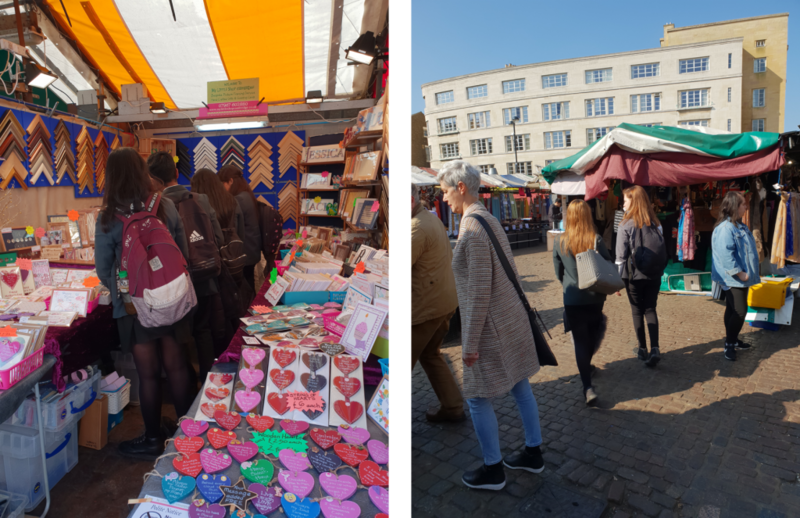 On route, we even had time to have a cheeky 10 minute look around Cambridge market. Bargains were located and purchased, of course! 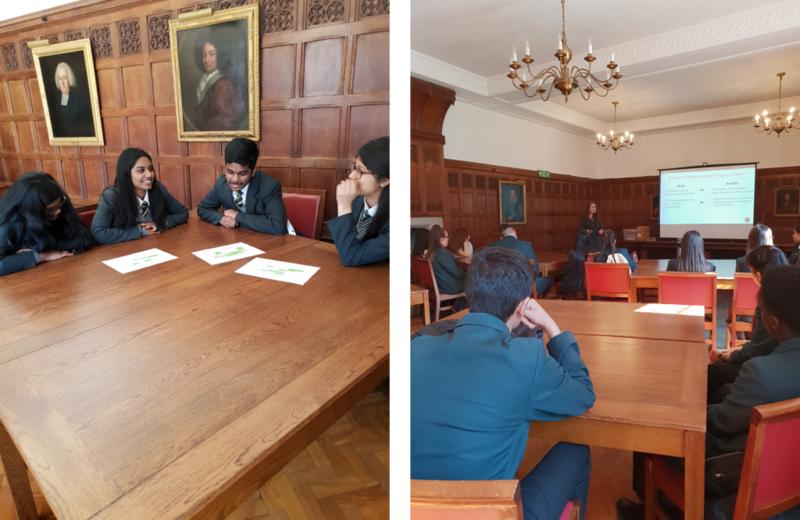 Our students’ looked at an array of current university student timetables and were guided through some prospectuses, enabling them to look at making informed A’ level choices that would lead to the most appropriate courses. 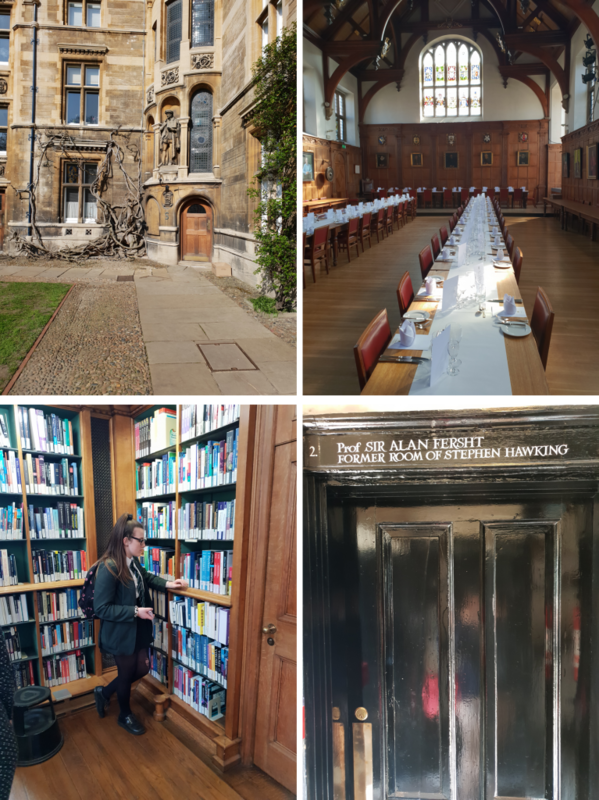 The information was invaluable and like the trip to Oxford earlier this month, caused some students to re-think their current aspirations for post 16 life. 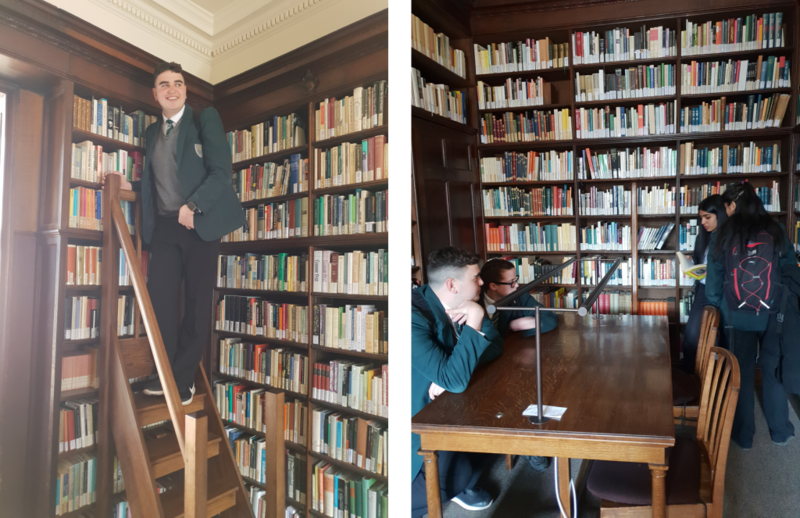 An incredibly enjoyable and successful day!